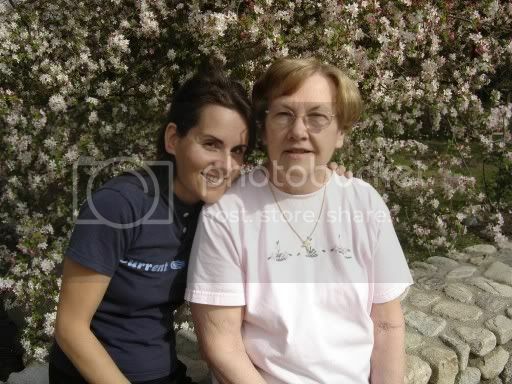 just remembering my time with ma (as i call her......she refers to her deceased mum as 'mother.' and her dad was 'daddy') i still can't believe she's 70 something???? ?, i swear, i have more wrinkles than her!!!! !.....btw, she'll kill me if she reads this, but i know she won't, cuz she doesn't own a computer and barely knows how to work her own cell phone, vcr, and/or answering machine. i think i've seen her 8 times in the past 26 years.....not blaming anyone. REALLY. just sayin'. time flies when you're having fun....*cough*...... even when you're not having so much fun. Now I'll go and look at a pic of my mum. yah, i was snapping pictures and videos left and right o.T., believe me........knowing someday that's all i'll have.